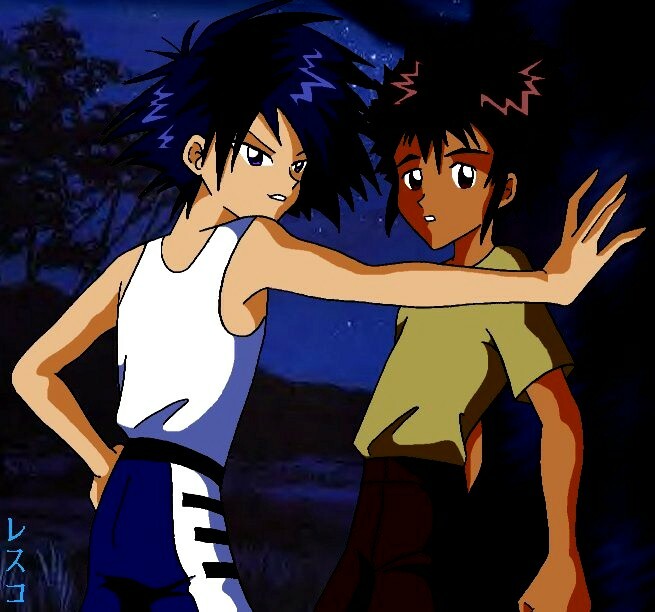 powerful couple in Digimon, Daisuke Motomiya and Ken Ichijouji. But Miyako and Ken get married! 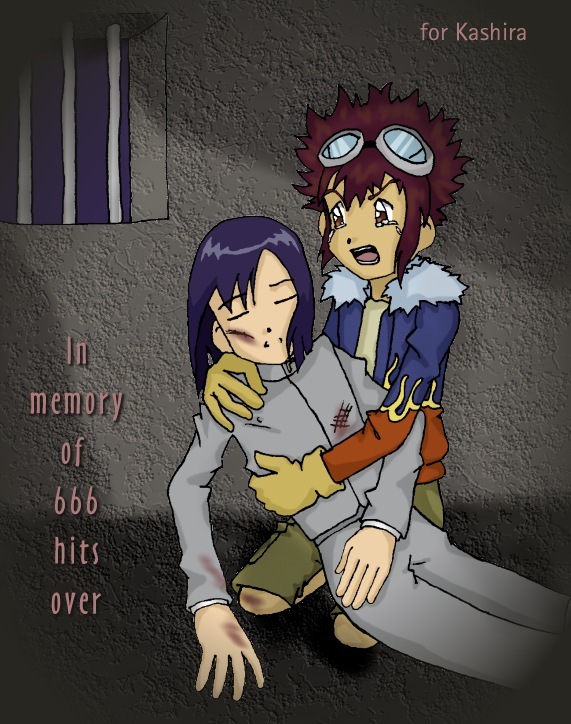 ending of Digimon 02. It should be noted that I do like Miyako, herself. 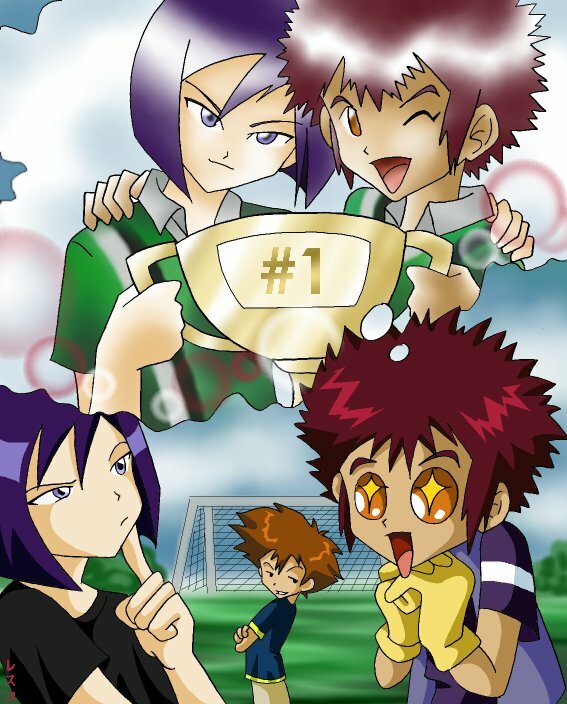 But Ken and Daisuke are both guys! Very good. You get a cookie. 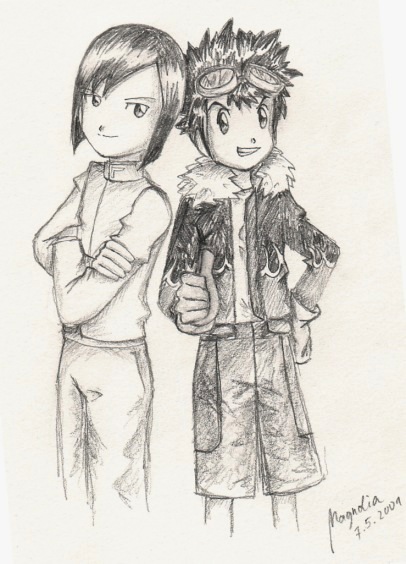 couple in Digimon'. Til that time though this'll have to do. 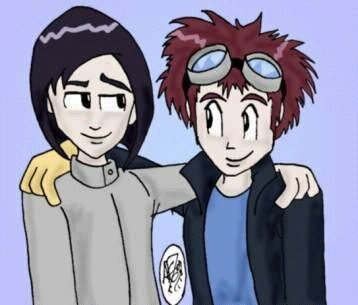 The Kensuke Files accepts fics. You should go there anyway, it rocks. Ken's good side and tormented self. I love him when he's angsty. Hidden Sun A songfic about guilt and forgivness. If I Close My Eyes Nightime brings the monsters and Ken seeks comfort. Let Go and Hold On Daisuke's thoughts as he chases after a kidnapped Ken. The Vines Same as above but Ken's thoughts. A little disturbing. Gonna Get Me Some! Not strictly Daiken. A comedy piece with many couples. contribute to this section. Remember, good Ken. drawing this! Thank you thank you! This is by Magnolia who drew this for somebody else. They didn't collect it so I got it instead. Cool ne? go there, her page is here. Enjoy! you'll get this pic. It's Kaisuke folks! Hey wanna link to this pathetic excuse for a Daiken shrine? You do? Really? Wow...thanks. Here's a banner made by the awesome Babs. Link it to http://members.tripod.com/~thericia/kensuke.html please.